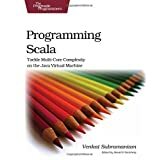 This book is perfect for learning rails. You jump right in and develop an application – getting a taste for what you’d be doing in real life right away. Datailed explanations are left for later, when you better understand how the platform actually works. The example application you’ll develop, if you follow the book as you should, is a real-world shopping cart type app. Along the way you’ll pick up some agile development. 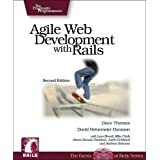 I would not recommend this book to absolute beginners to web development – you should understand some basic web development. This book takes you through everything from installing rails and MySQL to deployment.